Let me tell you the story of the greatest BMW owner of all time, Dr. Ira Gore. He loved his black BMW so deeply that he sued its maker and won a $4 million jury award because it had $601.37 of paint repair before he bought it. He fought all the way to the US Supreme Court, cementing his claim as King of all BMW owners. Dr. Gore dropped $40,750.88 on a "black BMW sports sedan" at a BMW dealer in Birmingham, Alabama, in January 1990. In the fall of that year he brought it to a detailing shop named "Slick Finish," run by a guy whose last name was Slick. Seriously. Gore later testifed his intent was to get his BMW to look "snazzier." I assume BMW owners are now nodding along in agreement. Mr. Slick told Gore that his black beauty had seen a little paintwork. Gore had never had the car repainted; it must have been repainted prior to delivery. Gore soon discovered that BMW had a policy of not disclosing predelivery repairs if they cost less than 3 percent of the MSRP. According to BMW, the repairs to Gore's car only cost $601.37, below the threshold for disclosure under their guidelines. They told Gore that they had done this with other cars – 14 in Alabama and a total of 983 across all of America. Gore had found his calling. He would sue BMW not only for his financial damages – which he pegged at a little over $4,000 – but for punitive damages totaling $4 million based on the widespread harm to all the other BMW owners in his situation. An Alabama jury agreed with Gore, and handed him a verdict of more than $4 million. Presumably, a light shone down from heaven and a host of angels sang as Gore was elevated from merely a man who wanted a snazzier BMW to the Monarch of ALL BMW Owners. Some people paused and wondered: "Was it fair to award this man enough money to buy 98 more BMWs because of an undisclosed paint repair of only $601.37?" Part of the grumbling arose because Gore did not seek to have the $4,000 per car penalty distributed to his subjects – I mean, the owners of the other cars with the undisclosed repairs – he intended to keep it. That would be his way of teaching BMW a lesson. And that is, after all, rule #1 of being King: You govern your subjects by keeping their stuff. While the commoners whispered, BMW appealed. The Alabama Supreme Court looked at his Highness, King Gore, and reduced the jury award by half. According to them, he was still the exalted ruler of the realm where BMW owners reside, but his riches would only be enough to buy perhaps 49 new BMWs – or, $2,000,000. A small setback but nothing more for the King. Then, BMW appealed that ruling to the US Supreme Court. To appreciate this epic battle, one must realize how few cases are heard by the Supreme Court, notwithstanding the number of times a shirtless meth-head has yelled at a "Cops" camera, "I'm going to take this to the Supreme Court!" Of the 10,000 cases submitted to them each year, they usually take no more than 80. They took BMW v Gore. Meanwhile, the case gathered media attention. Not all of it was negative. The New York Times called BMW's actions in the matter "unsavory." Gore's fortunes would reverse at the Supreme Court. The court noted that BMW had since changed its policy regarding predelivery damage. BMW - after losing this case and one other on the exact same issue - had gone to a nationwide policy of full disclosure of all repairs, "no matter how minor." And BMW argued to the court that they were under no legal obligation to disclose. In fact, many states had even adopted statutes protecting car sellers for nondisclosure of damages of this sort. The Supreme Court skipped over most of that however, and instead focused on the size of the punitive damage award. Gore must have known the enemy was at the gates of his kingdom when the court noted that BMW's conduct only harmed him in a "purely economic" way. His car ran fine and still looked snazzy. The most he could say was that it was devalued a bit. It was sacrilege but sometimes even the King gets bad news. The court ruled against Gore and sent the case back to Alabama for its courts to recalculate the proper award. The Alabama Supreme Court was not pleased but played along. They offered Gore a choice: He could have a new trial - where the jury would have to follow new guidelines when calculating damages - or a judgment of $50,000. Instead of the money to buy a fleet of BMWs, he'd get enough money to buy just one. He'd have a little money left over for a few trips to Mr. Slick. This is the last we heard of the case so presumably he took the money. 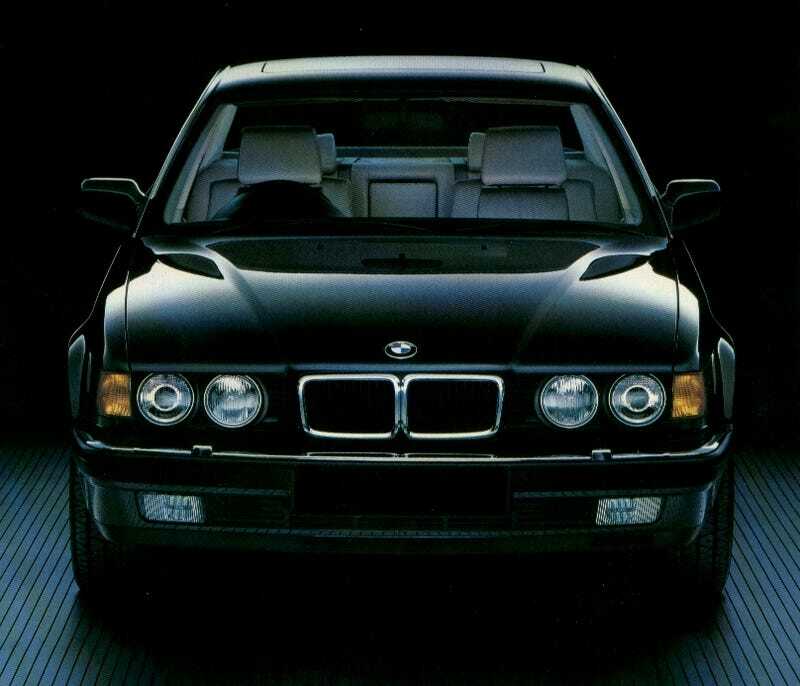 Despite the setback, Ira Gore is still the greatest BMW owner of all time. The Alabama Supreme Court ruling which ended his case was issued in 1997, meaning he fought this battle for seven years. And, of course, BMW owners today nod slowly, wistfully, remembering the brief time when an imperceptible blemish on their BMW might be worth $4,000,000. And that time frame when BMW would disclose any predelivery damage to a buyer, no matter how slight. You see, BMW and the other car companies did not take this learning opportunity to reassess how they did business. Instead, they ran to the state legislatures and got more laws passed expressly allowing them to conceal predelivery repairs like those done to Gore's BMW. BMW's earlier policy of nondisclosure became the law of the land, as noted by various legal thinkers and writers. But BMW owners across the land should revere Dr. Ira Gore, who merely wanted a flawless BMW, nothing more than any BMW buyer would expect. If not just a little bit snazzier.